The first thing to do is determine if your Switch is vulnerable to fusee-gelee, the exploit we will be using to launch CFW. This vulnerability was independently discovered by several different Switch hacking teams, and multiple variants of it were released to the public in April 2018 after a 90-day disclosure period ended. Nintendo and NVIDIA were made aware of the issue before the public release as a result, and Switch systems that are not vulnerable to the exploit started being spotted in the wild in July 2018. NVIDIA publicly acknowledged the flaw in April as well. Patched units can be identified by their serial number. 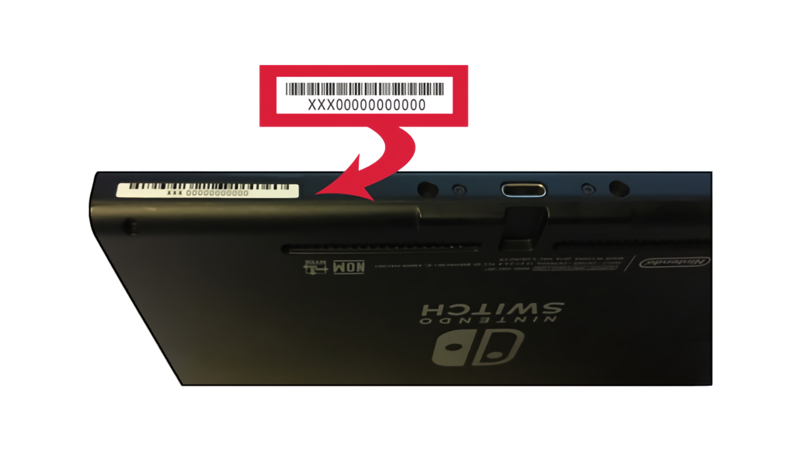 This number can be found on the bottom of your Switch adjacent to the USB-C port, or in the Settings applet at System -> Serial Information. The homebrew community has crowdsourced a list of known serial numbers which are vulnerable to fusee-gelee. If your serial number is on this list as "potentially patched", follow the guide and see if your system works. If your serial number is listed as "patched", there is nothing you can do at this time. If your system is patched, it is highly advised to keep it on 7.0.1 or lower, if possible, as there may be a vulnerability for these versions in the far future. DO NOT update patched consoles past 7.0.1 if you want to ever have a chance of running homebrew and/or CFW on them. 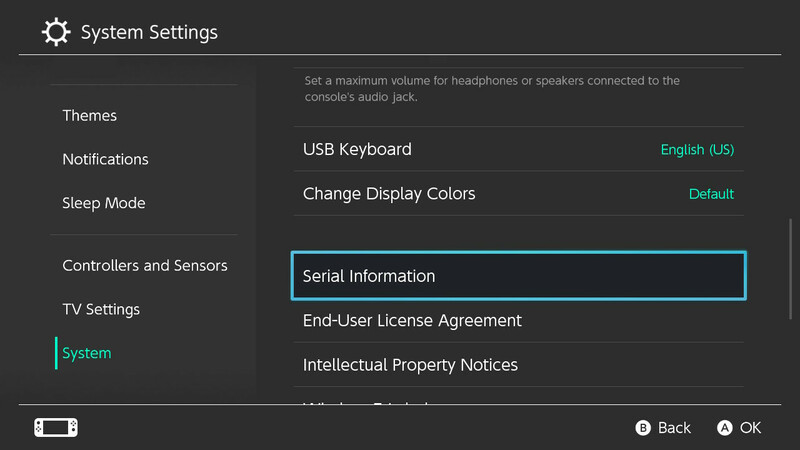 If you are unsure if your serial is patched, you can test your console yourself following the instructions here. The following information is based on this GBATemp thread. These units are refurbished units provided by Nintendo. No information is known yet, but they are potentially patched. No information is known yet- you are encouraged to continue with the guide and report on the GBATemp thread if the guide worked, along with the first few digits of your serial number. Before setting up the console for homebrew, it is important to have at least one eShop game, application (such as Youtube or Hulu), or a game demo such as 10 Second Run RETURNS. A game cartridge will also work, but note that the cartridge will have to be inserted in order to run homebrew if you wish to go this route. Once you have a game or application, you are prepared to continue on with the guide.